Many times, we complain about school and the tiresome routines we have to deal with, the boring lectures and all but have we ever settled down to imagine how we’d have turned out without school? Of course some have natural abilities which they would probably have discovered anyway with or without school, for example, some are blessed with talents applicable to singing, dancing, drawing and so on. However, many of us are born completely ignorant of how truly useful we are in the society we live in. We under estimate the power of our mind, body and brain… and if not for school some would probably have gone to their graves completely ignorant of the possibilities that abound in them. Some with the brain and mind of a genius would probably be wasting away their relevance doing menial jobs that do not challenge their thinking or produce anything out of the ordinary. You go to school and eventually qualify as a medical doctor, engineer, teacher, accountant, etc. and then I ask what would you have become or in what way(s) would you have been useful to the society if you never had a formal education? Some might say that school is a distraction that limits us from exploring our own inborn abilities. They might even go on to give examples of great men and women in history and today that became successful even without formal education. But then I say; only a few can achieve success through sheer luck without having the needed intelligence, discipline, courage, persistence, perseverance, passion and/or character that most of those great people had which facilitated their success. Many are naturally lazy and unenthusiastic about the world they live in. Many desire to be great but would prefer to enjoy the bliss and perfection found in their comfort zones than to venture out into the unknown or less familiar and discover the hidden treasures that abound in life. SO HOW HAS SCHOOL SAVED THE WORLD? School is like a program created for all humans to give order and mindfulness, relevance and purpose to our existence; to inspire curiosity and challenge our thinking, to instill self-discipline and tenacity, and in the end, reward excellence and hard work. School makes you intellectually tough and sound. It opens up your mind to great possibilities through the abundance of knowledge and experience passed on from generation to generation: the history and biographies of great minds and achievers, the ideas and discoveries, the experiments and theories, the laws and principles etc. Many would never have ventured out on their own to discover this wealth of information due to lack of will power or sheer ignorance. Sir Isaac Newton, one of the great minds of the 17th century scientific revolution was the only son of a late successful local farmer, his mum after sending him to school made him drop out to take over the running of the family farm. He failed woefully. His mother finally sent him back to school where his interest in the field of physics and mathematics developed. School provided the solid foundation on which Isaac Newton’s inner genius was discovered. He went on to develop the principles of modern physics with discoveries in optics, motion and mathematics such as the law of gravity, the laws of motion etc which have been of immense contribution to the development of science and technology we all enjoy today. Bill Gates, the infamous billionaire popularly known as the richest man in the world, and the founder of the world’s largest software company called Microsoft, discovered his love for computer programming at the age of 13 at the Lakeside school. He also met his friend and co-founder of Microsoft, Paul Allen while in school. Although he dropped out eventually to pursue his passion (computer programming), school provided the solid foundation on which Bill Gate’s inner greatness was unleashed. His success has enabled him to make huge philanthropic impact on various sectors of world development, funding research, eradicating poverty and disease. I could go on and on with examples, but then take some time to reflect on your own life. 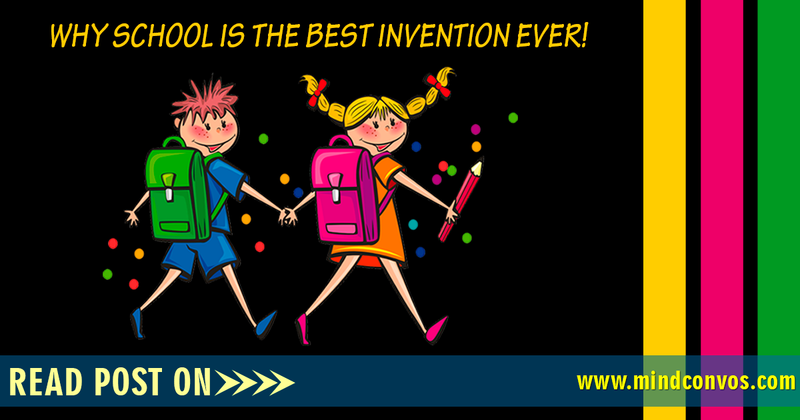 What’s the most precious gift that school and education has brought to you? Knowledge? Wealth? Friendship and amazing relationships?, take a moment to really imagine who you would have been without formal education and then let your mind ponder on what you can become if you immerse yourself in self education building on the solid foundation that you have obtained from school, how you can truly apply that gift which school has given you to the development and advancement of the world around you.